Handcrafted with faceted details and delicate jeweled embellishments, this Italian Murano Chandelier makes for a dazzling focal point in a room. 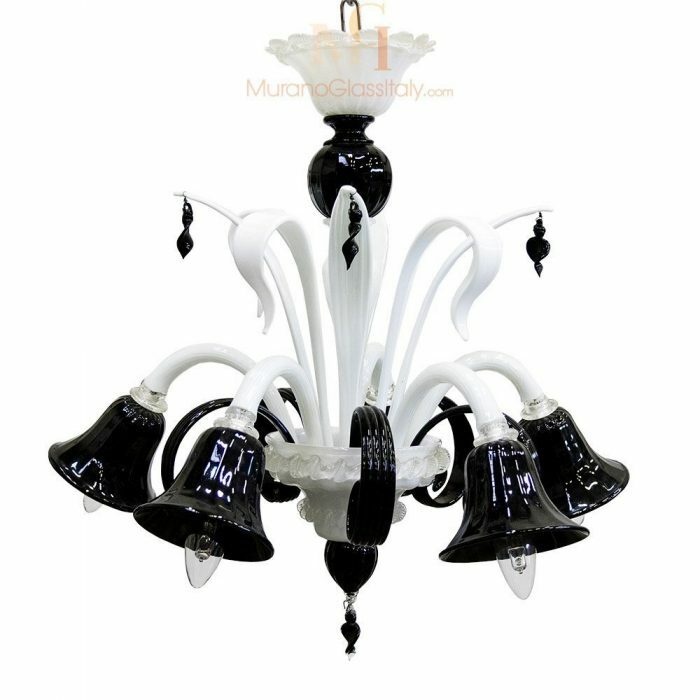 Adorn your entry hall with this eye-catching chandelier, featuring a modern black and white color theme as well as elegant scrolling arms. 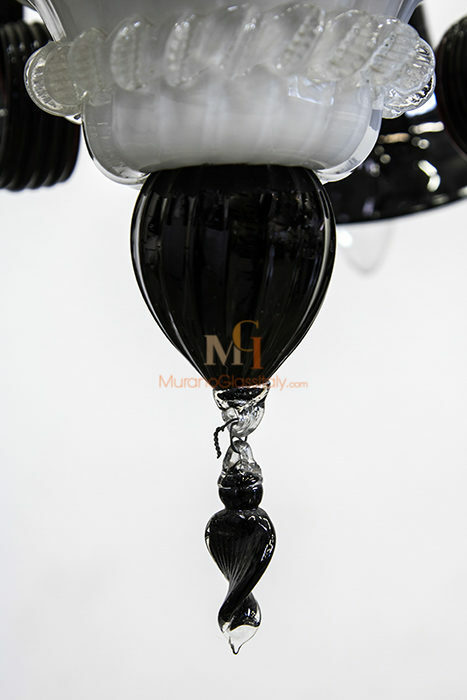 The perfect addition to every modern interior design and a statement of courage to the extravagant. 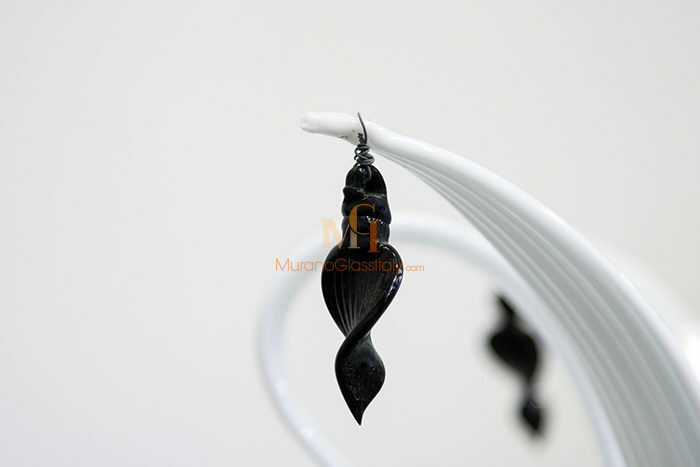 It’s a masterpiece with an extravagant shape, capable to transform every space into a stunning scenario. Due to its vigorous personality it creates an exclusive atmosphere. Venetian glass chandeliers create a symphony for eyes that you will not forget! 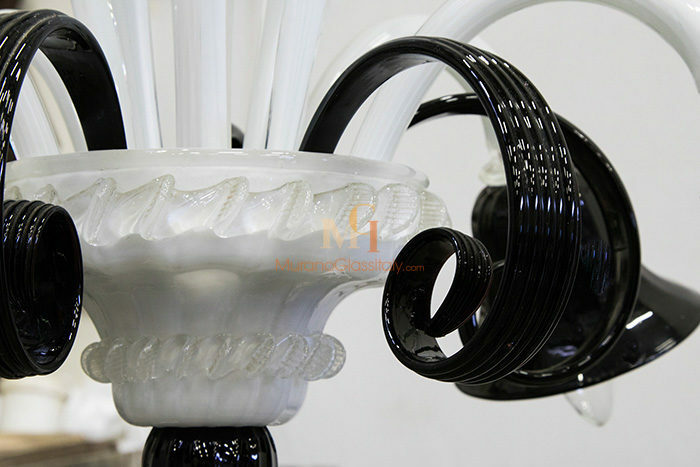 The chandelier is a handmade unique masterpiece provided with certificate of authenticity demonstrating that the chandelier was made in Venice, Italy.